First news about David Enrique spread in April 2005. And the French pipe friends were really amazed about this great talent rising! Qouted from the homepage: "I was born in 1980 in Strasbourg, France and I spent my childhood in Rhinau, a small town near the German border. I have a degree in informatics and until 2005 I worked in the ICT sector. In 2004, I bought my very first pipe on a flea market. It was old, unsmoked and made by one of the big Saint-Claude manufacturers. It proved to be unsmokeable ! 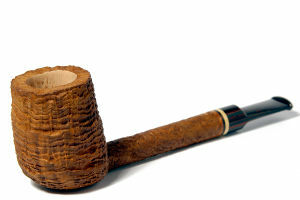 I then discovered the wonderful world of pipes and tobaccos through the French newsgroup Fumeursdepipe and its very informative website. 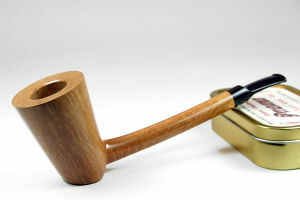 It was love at first sight when I discovered the Danish master carvers, especially Tom Eltang. When I visited Trever Talbert in his workshop in August 2004, I admired his passion and craftsmanship. However, I wasn’t planning on becoming a pipe maker myself. Yet. It was only a few months later, when browsing through the DanPipe catalogue and discovering the kits, I felt the urge to give it a try. It took me and my Dremel forty hours to carve my first pipe, but during the process I fell in love with woodcarving and I wanted to find out more about pipe making. Thanks to Alain Letulier, the president of the Pipe Club of France, I got the chance to visit several Saint-Claude manufacturers. This stay in the capital of the French pipe world was decisive : I wanted to move to Saint-Claude and to become a pipe maker. I quit my job as an informatician and was engaged by the Chapuis-Comoy group (Chacom, Jeantet, Ropp,…) where I worked for two years. During this period, I bought the necessary machinery and tools to set up my own workshop and I decided I needed to be tutored by foreign pipe makers in order to progress. In April 2006, Marco Biagini, the artisan who makes the Moretti pipes, invited me to his workshop and during a week, I learned how to carve pipe shapes by hand. A wonderful experience ! When I came back to Saint-Claude, I started to practise, drew sketches, asked questions to established carvers like Trever Talbert. In January 2007, I had the opportunity to spend a few days in the workshop of German maker Heiner Nonnenbroich, who was so kind as to share his knowledge with me. I learned a lot about execution and design. Among the people who helped me the most, I must quote Erwin Van Hove. During more than two years, he helped me to develop my sense of aesthetics and he introduced me to pipe makers and collectors. During the first months of 2007, I felt I was ready to fly on my own wings. I quit my job at the Chacom factory and established my own workshop in Saint-Claude." This page was last edited on 13 June 2015, at 14:24.